Ammon and Carter have started earning some “spending money”/allowance. They are picking up toys and putting them into their toy boxes, folding clothes, putting up clothes in their armoires, picking up garbage, helping feed dogs, making their beds, etc. I know this isn’t much, put they are getting about $1/week (in quarters). Last week they earned enough money to go to our local Dollar Tree and buy something for themselves. However, before they did, they had to give 25 cents to church. With the remaining $1.25, they chose their presents. 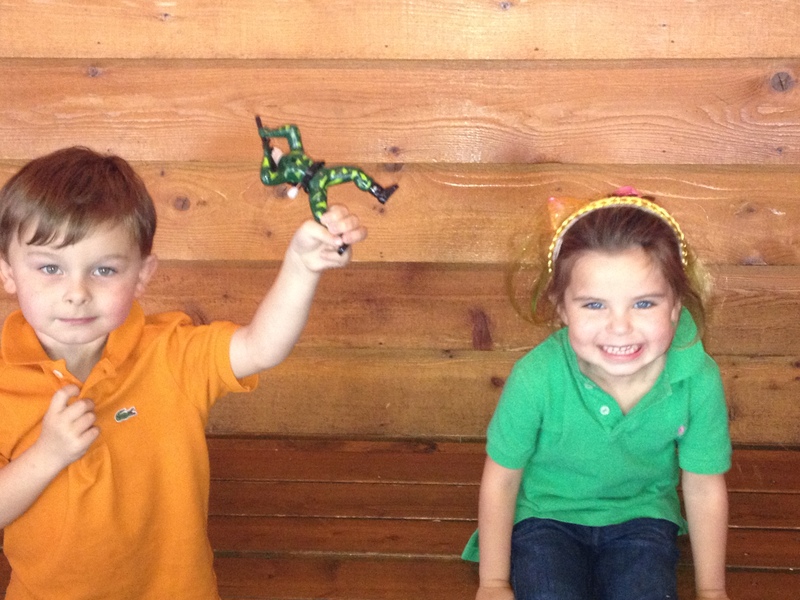 Carter chose a crawling soldier, and Ammon chose a hair piece to wear. We are saving their change and future allowances for continued giving to themselves and back to OTHERS. Please pray that they keep a good work, saving, and GIVING ethic. So far, we’re off to a good start. They are such blessings, and I hope they are learning well. Love to you and Peter! What a great idea, and I know how they love their dollar stores, yal have a great beautiful fall weekend, tisses my babies and I love you all very much! With love and kisses to you too, Aunt Karen. You two are such good parents and raising responsible, kind children. Kudos to you.